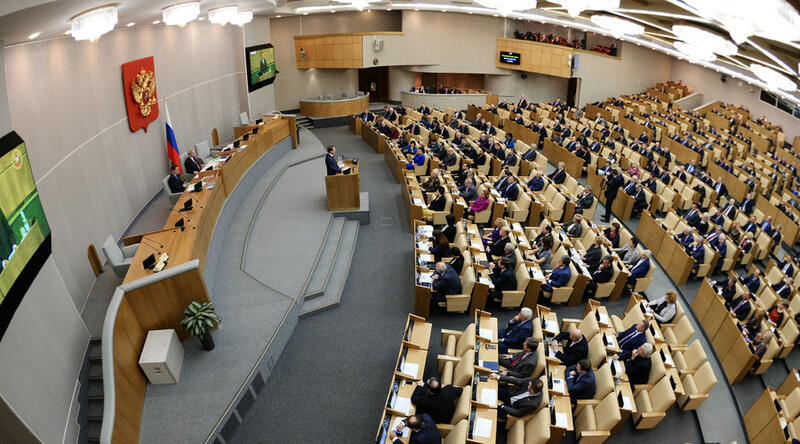 Russia’s Communist and Liberal Democratic parties have prepared separate draft laws: one forbidding people whose relatives are engaged in business activities to assume official posts, the other banning children of civil servants from entrepreneurship. The bill prepared by the populist nationalist Liberal Democratic Party of Russia (LDPR) and drafted by its leader Vladimir Zhirinovsky reads that from April 1 this year the spouses and adult children of senior state officials must stop any activities in the business sector. Zhirinovsky noted in a parliamentary speech that he did not consider such restriction infringement of anyone rights, as people who disagree with it are free to leave the civil service. According to the Communist Party of the Russian Federation’s (KPRF) bill, drafted by the head of its legal department MP Vadim Solovyov, Russian citizens cannot be appointed as senior state officials if their close relatives – spouses, children or siblings - are engaged in any form of entrepreneurial activity. The posts that fall under the limitation are described as “senior or head position in a state agency” and also in all cases when the official responsibilities of the official include overseeing or control over businesses of his or her relatives. The sponsors acknowledge that the Russian Law on State Civil Service already contains certain provisions aimed at prevention of any conflicts of interest (the existing law bans civil servants and lawmakers to possess and run own businesses, but there are no restrictions concerning their relatives). They also said that in their opinion the existing measures were effective, but not full, and the current law required additional amendments. Solovyov has earlier told reporters that the Communists’ initiative had been prompted by the widely-advertised report disclosing the alleged ties between the relatives of senior officials in the Prosecutor General’s Office with members of an infamous gang convicted of murdering a family of farmers in southern Russia. Almost immediately after this report was circulated, Prosecutor General Yury Chaika dismissed it as “slander” and “hatchet job” and said that the campaign against him had been ordered and sponsored by William Browder – a UK-based international investor who was sentenced to 10 years in prison in Russia for large-scale tax evasion. In 2013, Russia introduced the law that forbids senior state officials from holding bank accounts abroad or owning foreign-issued shares and bonds. The restriction also extends to spouses and underage children. The law allows state officials to have real estate abroad, but orders them to declare it as well as the sources of the income used to buy that property.